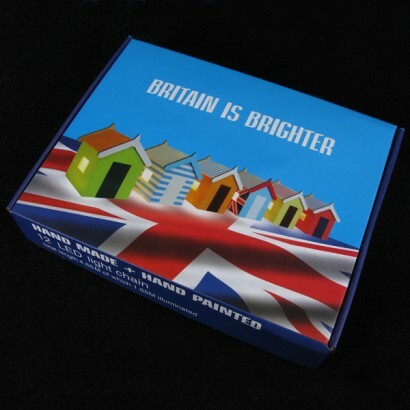 Recently the spirit of nostalgia for the Great British seaside has meant that beach huts in some locations can sell for more than real houses! 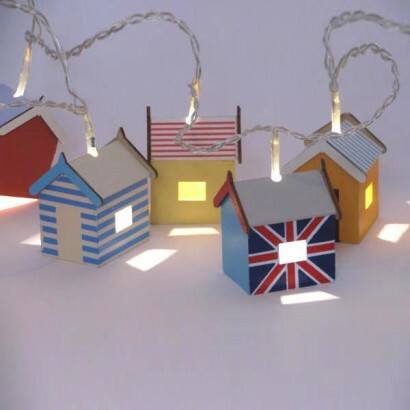 If you can't quite justify buying a real one but are hankering after the tranquility and hedonism that goes with a sandy beach with your own patch of 12' x 8' plot by the sea, then these adorable little Beach Hut String Lights could be just the ticket! Good quality lights that give a really great new funky feel to the conservatory. The lights look brilliant in the seaside bedroom we have created for our grandchildren.